Organ donation rate has increased by 60 times over the past 18 years, though the growth is not considerable compared to the global scale, head of the transplantation and treatment of diseases department at the Ministry of Health has announced. Some countries including China have grown 122-fold in terms of organ donation over the past 10 years, ISNA quoted Mehdi Shadnoush as saying on Monday. Although, Iran ranks 26 in organ donation in the world, it can claim better ranks given some plans being implemented in this regard, he highlighted, adding, we will achieve better results certainly by the next year (March 2019-March 2020), as many barriers have been removed last year. 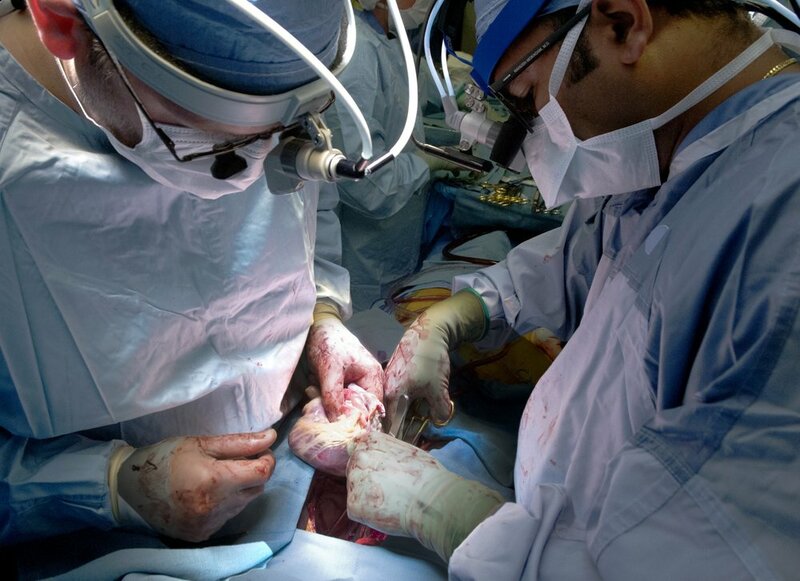 In the past, kidneys were mostly removed from a healthy donor and surgically placed in an individual with kidney failure, while currently some 57 percent of kidney donor transplants in the country are among brain-dead donors, he explained. Referring to the country being successful in liver transplant surgeries, he noted that, some 5,500 liver transplants have taken place in the country so far. He further explained that Shiraz University of Medical Sciences conducting over 700 liver transplants annually achieved success in this regard. Expressing that kidney transplant surgery costs one seventh of dialysis, he stated a five-year dialysis period brings economic burden amounting to 3.5 billion rials (nearly $83,000) for the country, while the kidney transplant costs about 500 million rials (about $12,000). “We tried hard that patients waiting for transplant not to be influenced by the recent economic challenges facing the country,” he said, adding that the fund required for transplant will be provided to the universities of medical sciences nationwide by the end of the next month. Nationally, over 8,600 people are on the transplant waiting list for kidney, which is hoped to face a decline as soon as possible, he lamented. Organ donation of brain death has reached up to 60 percent, he said, lamenting that the country ranks 21st regarding organ donation from brain dead patients in the world, while ranking 14th regarding organ transplant from alive patients. He went on to add that if we move ahead with the current trend, we will achieve 45 percent increase by the Iranian calendar year 1404 (March 2025-March 2026), although, we can enhance the success reaching 75 percent in case of proper planning. World Health Organization explains that organ transplantation is often the only treatment for end state organ failure, such as liver and heart failure. Kidney transplantation is by far the most frequently carried out transplantation globally. According to the figures revealed by International Registry in Organ Donation and Transplantation (IRODaT) Spain leads the world in organ donation. Figures published for 2017 reveal that 2,183 people in Spain became organ donors last year after they died. That’s 46.9 pmp – a standard way of measuring the rate of donation in a country, The Independent reported in July 2018. Spain’s closest contender is Croatia, with 38.6 pmp (2016). It has maintained its position as the clear leader for the past 26 years. In a press release, Spain’s National Transplant Organization confidently describes the country as unbeatable. According to the data published on IRODaT by the end of 2017 Iran’s per million population of actual deceased organ donors was 11.43. In 1996 Iran’s per million population of actual deceased organ donors was 0.1, which compared to the current per million people in the population (pmp) shows a great increase. Some 5,000 people die of brain death annually in Iran, out of 3,000 brain deaths reported last year being qualified to be organ donors, only 926 donated their organs. In May 2018, the Masih Daneshvari hospital’s manager Ali Akbar Velayati said that some 10,000 people are waiting in transplant lists and every day some 10 people waiting for an organ lost their lives. Omid Qobadi told IRNA in October 2018 that some 5 million Iranians have organ donor cards.